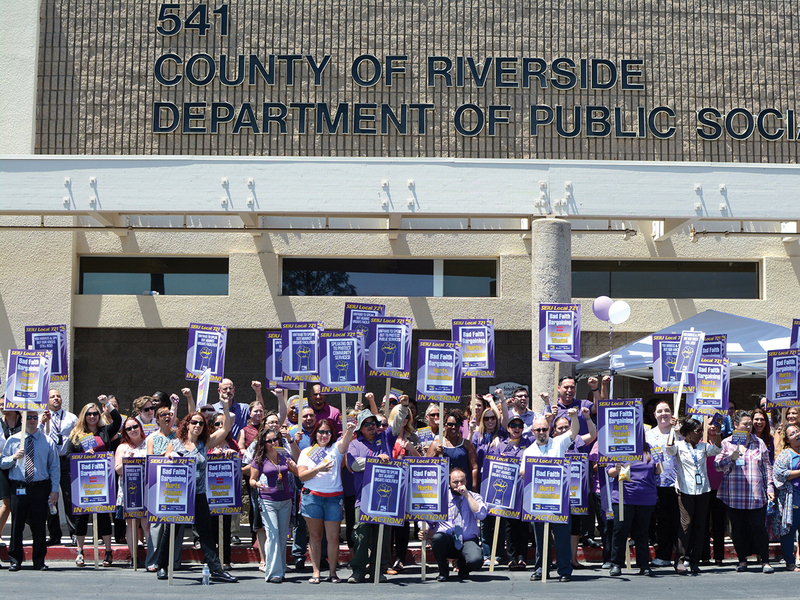 The Valley Chronicle Story on Unfair Practice Picketing in Riverside County! 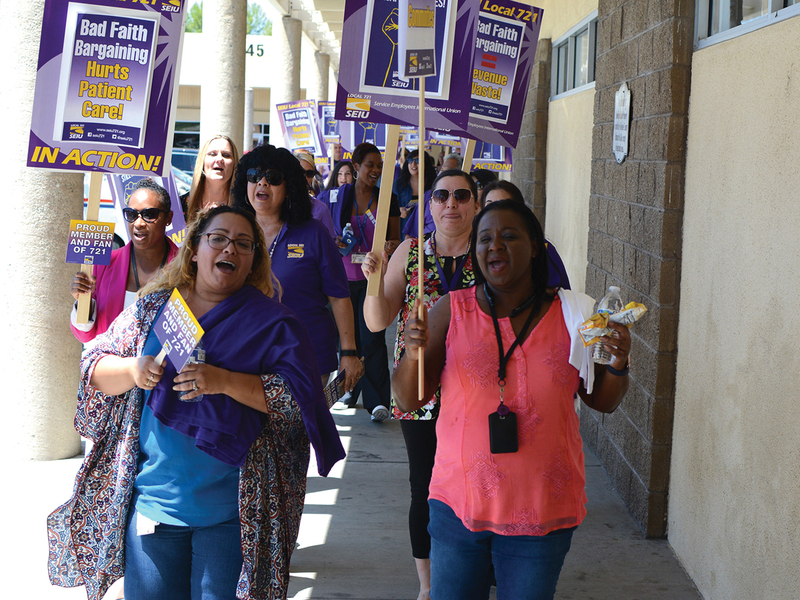 Aug. 10 was a day of action for members of Service Employees International Union (SEIU) Local 721 as workers picketed on their breaks in just under 100-degree weather at the Riverside County Social Services offices at the corner of San Jacinto Street and Oakland Avenue in Hemet. It has been reported by multiple news outlets that the County of Riverside Board of Supervisors approved another $20 million contract with consulting firm KPMG to make county departments run more efficiently. This amount is in addition to the original contract for approximately $20 million, which purported to curtail public safety spending and morphed into KPMG identifying where departments need efficiency countywide. Workers utilized their break time to participate in the demonstration because, according to Itzcalli, the workers are there to provide services and did not want the picket to affect their clients. The other goal of the picket was to “sound the alarm on the fact that the county has bargained in bad faith with county employees for over a year and have put county services gravely at risk,” said Itzcalli. Some of the many concerns are that mental health workers feel unsafe and the community is sorely underserved. The Valley Chronicle reached out to all five Riverside County supervisors for comment; messages were left for four of the five supervisors. While Supervisor V. Manuel Perez’s office returned the newspaper’s call, they declined to comment. Chief of Staff Jeff Comerchero for Third District Supervisor Chuck Washington said that the purpose of the consultant was to find savings that exceed KPMG’s contract amount. “The first phase has already demonstrated that implementing the suggestions [from KPMG] will result in savings – the county is investing in efficiency,” stated Comerchero by phone. As far as the books are concerned, Comerchero stated that the information is public record. Itzcalli said the county has consistently told SEIU Local 721 that the county lacks the funding to increase services; however, they have yet to prove that justification, she said.